If you’ve been searching for the ultimate solution for full-lumen endoscope and device inspection, the new Toshiba Endoscope Inspection System SV-1000 is just what you need. 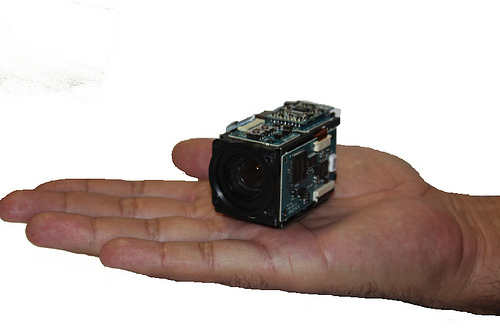 The system is a new, revolutionary chip-on-tip camera that features dual simultaneous image outputs. The camera helps you compare different image qualities and pick the best one that fits your requirements. The inspection system device is tiny in size and designed for close inspection and review of medical instruments, flexible surgical endoscopes, and other numerous medical inspections. The device is ideal for medical examinations that require operators to insert a shakable and waterproof camera that contains illumination and light. The camera system is exactly 1.6 mm in diameter and includes an ultra-small, 1mm x 1mm to be precise, CMOS sensor with 400 x 400-pixel resolution. It also contains a 120-degree FOV lens and LED light for illumination, which integrates within a 1.9m flexible shaft. The device also has a convenient user control and a handheld that easily connects to both the camera and LED controller. Designed primarily for OEM integration, this portable and convenient camera system even includes an SDK system. This feature helps develop user controls through a USB and allows for incorporation within an OEM’s inspection solution. This revolutionary system includes additional features, such as HDMI and USB 3.0. This allows greater flexibility by allowing users to view images through not only a connected display but also through a PC. This ensures proper documentation and image capture. Toshiba’s highly innovative inspection system promises exceptional results and comes with numerous advantages. The most prominent position of this camera system is that it does not necessarily require a PC connection to use it. This is because viewing the images can be done on a connected display without having to attach a PC to the unit. Additionally, the SV-1000 has dual output systems, which are both HDMI and USB 3.0, which allow the users to view images through two separate mediums at the same time. These mediums include a display and a computer that allow them to capture still images, as well as videos. Because this camera system is highly soakable and waterproof, it is readily deployable in various medical circumstances, including different surgeries and instruments. This feature allows users to carefully inspect high-quality images and videos, with increased illumination conditions. Lastly, the SV-1000 device comes in a two-piece system that comprises a flexible shaft inspection camera and a separate camera control unit which is very compact and contains LED light control, electrical connections, and video outputs.